Sts. 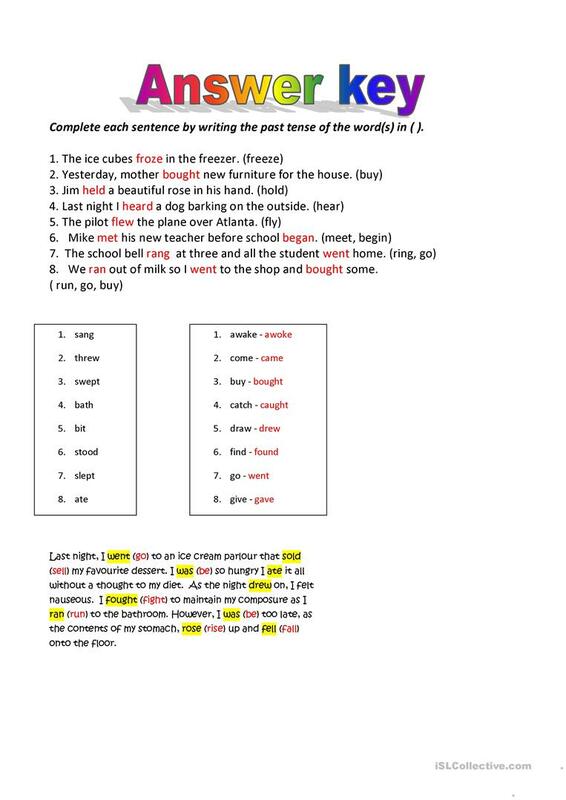 complete 4 activities on past tense - irregular verbs. Hope you find it useful. Answer included. A complement to irregular verbs part 1. 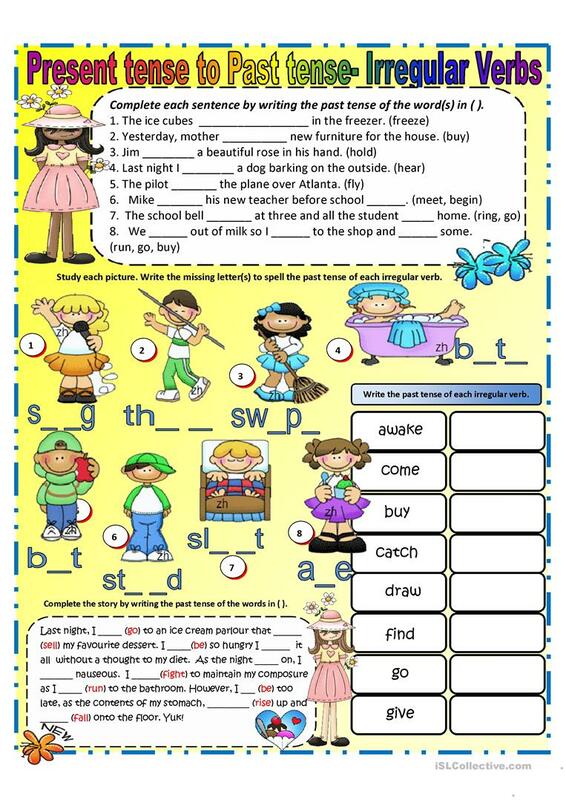 The above downloadable worksheet is intended for elementary school students at Elementary (A1) and Pre-intermediate (A2) level. It is great for practising Irregular verbs in English, and is excellent for strengthening your students' Spelling and Writing skills. You will find the answer key at the end of the worksheet.